Hello! 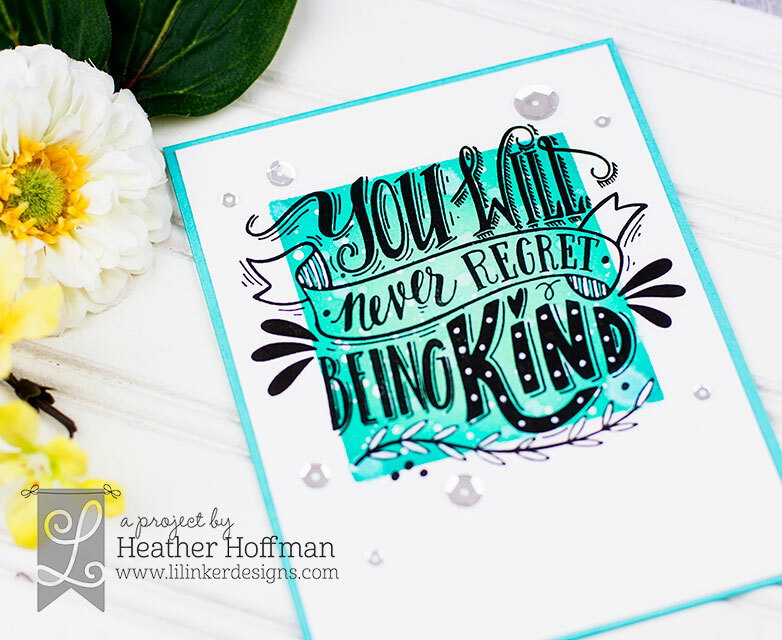 Super excited today to share some of the brand new special Mini Release from Lil' Inker Designs! We are celebrating with a HUGE hop and lots of special guests today! You should have arrived here from Jill Hawkins - feel free to head to the Lil' Inker Designs Blog to start at the beginning if you just happened along on the hop. 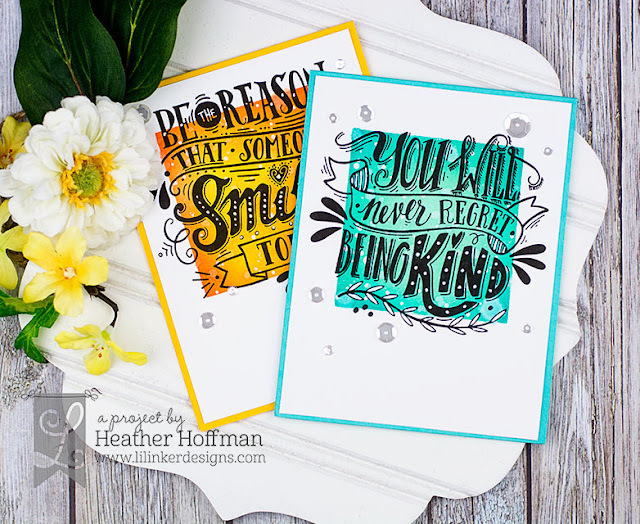 I have three cards to share with you using the new items - I'm starting with these two using two big beautiful new sentiment sets - I can't tell you how much I LOVE these! 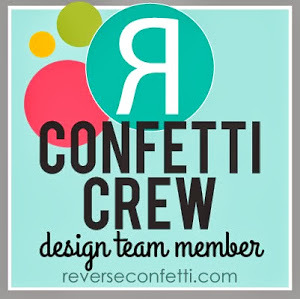 They are gorgeous and so versatile - it has been super fun to see all the things the Design Team have been making with them! I used them both with the same technique and different color combos. 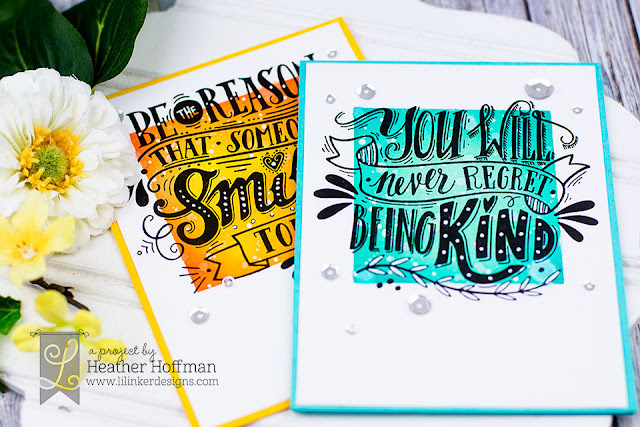 For each of these cards, I masked out a square panel, blended two colors of distress inks, splashed on some water and white paint splatters, then peeled off my masks and let them dry. 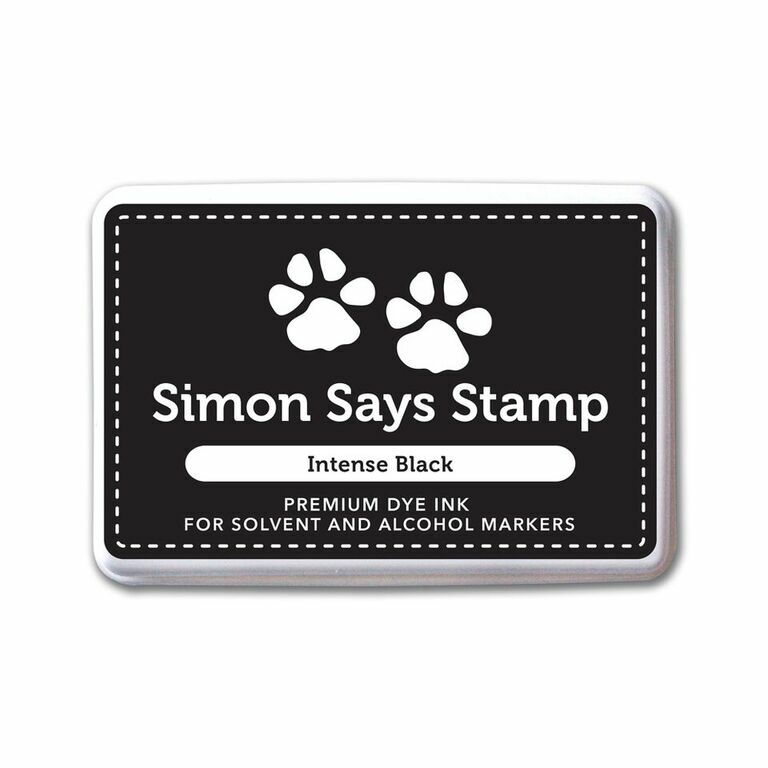 Once they dried, I stamped my sentiments on, using my MISTI to stamp a couple times for a nice dark impression over the distress ink. 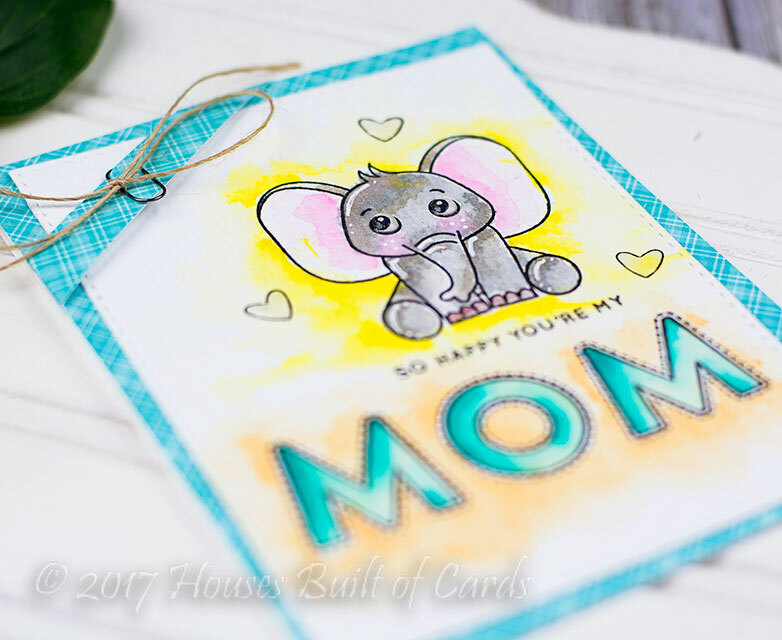 I added some accents with a white gel pen on the design (filled in dots, added stripes, etc...) and then a few Pretty Pink Posh Sparkling Clear sequins and a coordinating colored card base. 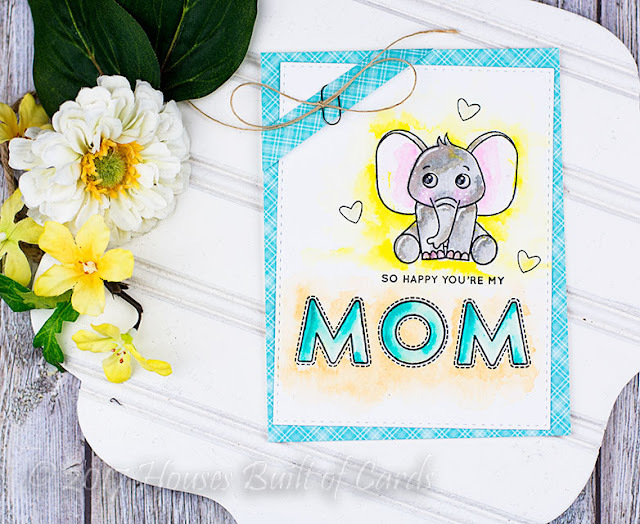 I love the new Cover Up Die - Stitched Clouds! It is so fun and clever - not to mention easy! 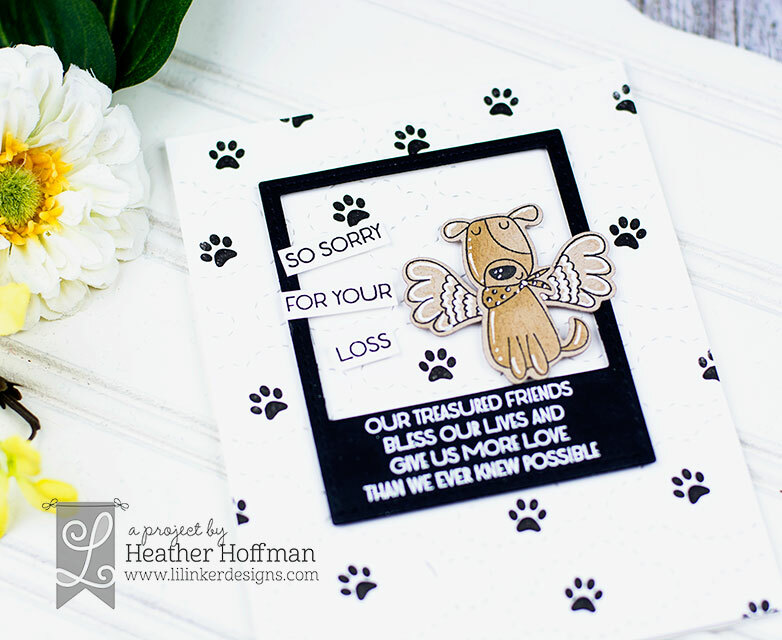 I used ot for my base, then die cut an Instant Camera Die in black to create my focal point. 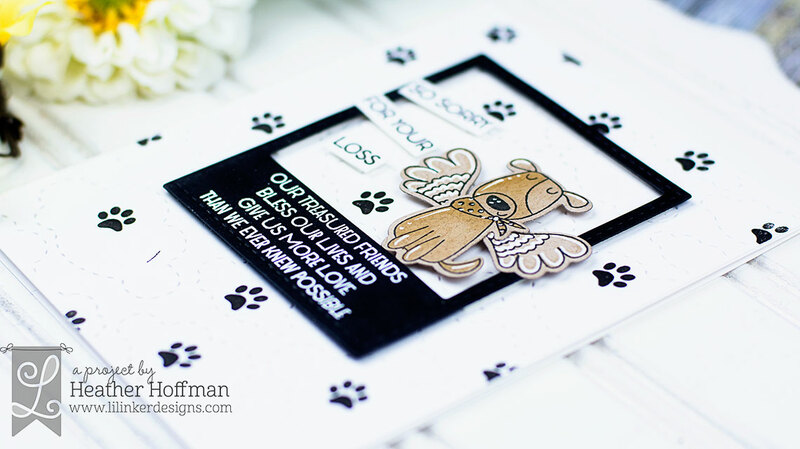 I used this to heat emboss a sentiment, then stamped the dog from Angel Pets with his little wings on kraft paper and colored with Copics before cutting out with the Coordinating Dies. I also used a white gel pen to add some accents to this, then mounted everything with foam adhesive, adding another extra sentiment that I snipped apart to separate. The little paw print was perfect to stamp around the background to finish. 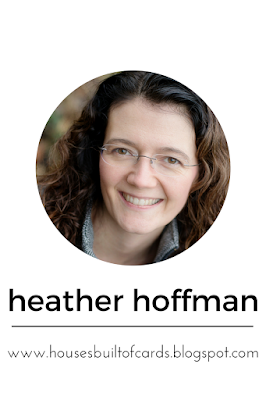 Your next stop along the hop is Lisa Petrella - but make sure and leave a comment before you leave! There will be 3 winners along the hop today chosen from comments left along the hop! 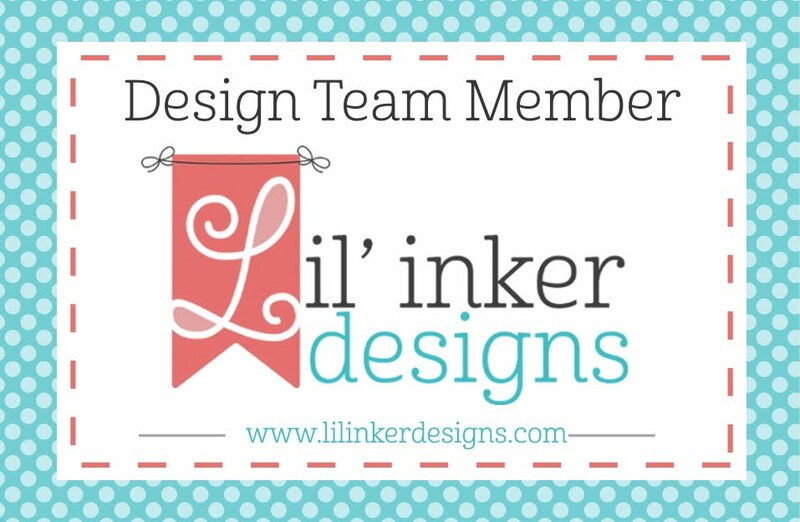 Full blog hop list is available on the Lil' Inker Designs Blog if you need to refer back there. Good morning! The brand new release from Pretty Pink Posh is coming up in just a few days and it's a GOOD one! 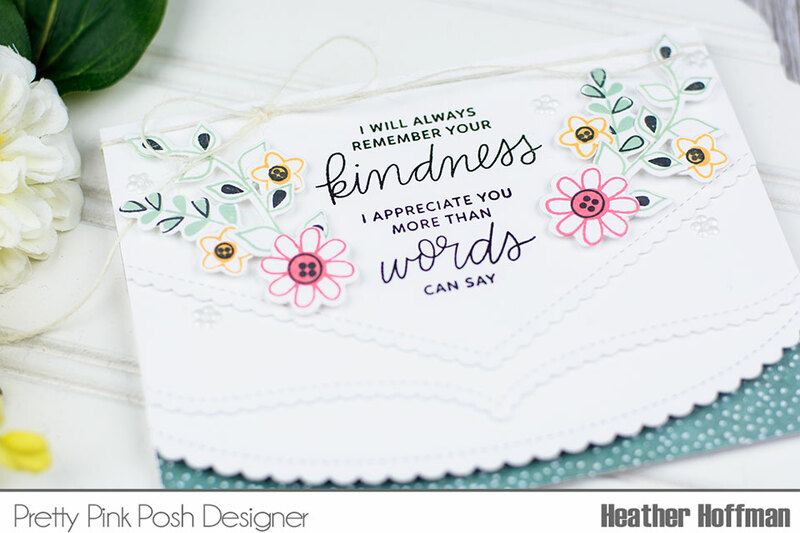 I have this card on the Pretty Pink Posh blog this morning using some of the soon to be released stamps, dies, and embellishments! You can check it out and see more details HERE. Good morning! 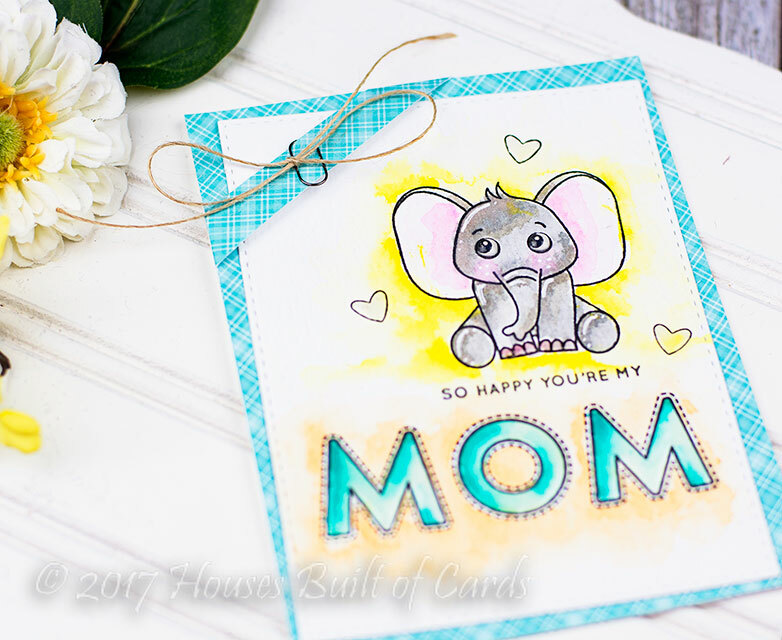 Yesterday I shared an elegant floral Mother's Day Card that I made using some goodies from Simon Says Stamp - today I have a more cute and cuddly version! 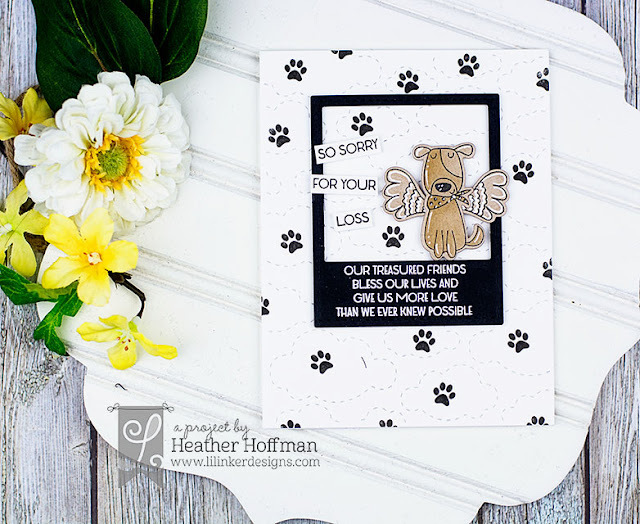 This combine stamps from the most recent releases, as well as from the April Card Kit (which is sold out, but the stamp set, Wild and Cuddly Critters, is available on it's own, and now even has coordinating dies!). This little elephant from Wild and Cuddly Critters was the PERFECT accompaniment to the darling new Mom and Dad Icons Stamp Set - that stitched "MOM" is so cute with it, and the tiny little sentiment is a perfect add on. 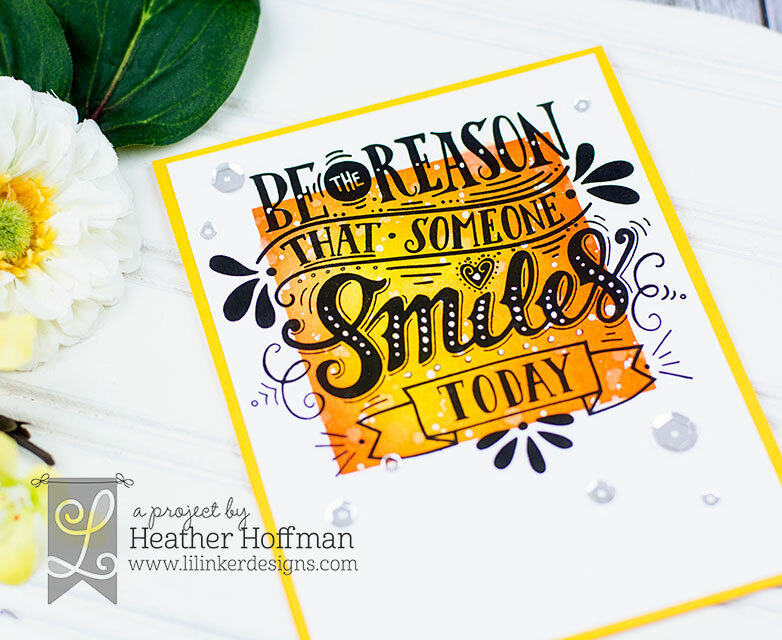 I used my MISTI to stamp it several times on watercolor cardstock for a nice crisp and dark impression. Next, I used several of my distress inks to watercolor the image and the words - I recently remembered how fun these are for watercoloring and have been loving playing with them lately! Once everything dried I added some white gel pen accents, die cut it with a stitched rectangle, then mounted it at a jaunty angle on some blue plaid pattern paper from Lawn Fawn. I used a scrap strip to wrap around that piece - also at an angle - to add a touch of interest and attache a tiny paper clip with some twine tied on it. 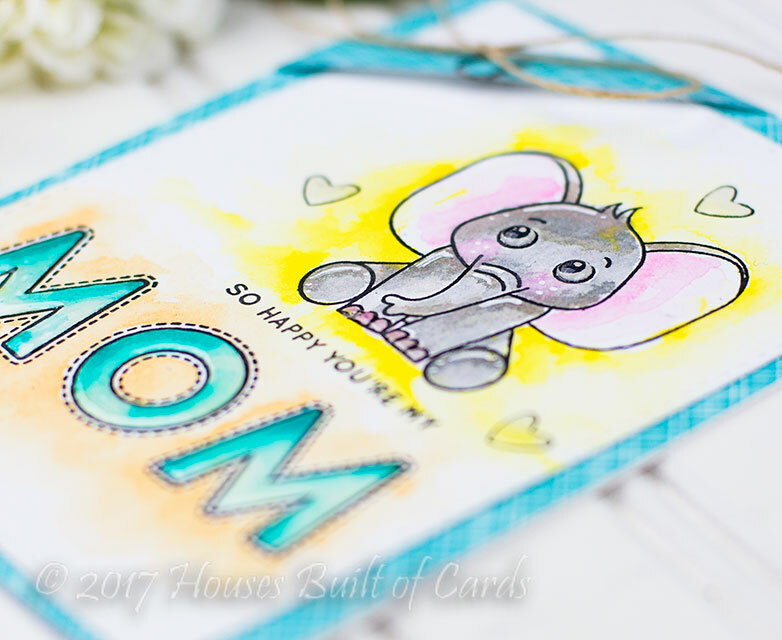 The finishing touch is SUPER hard to see in the photos - but I used Glossy Accents to cover the letters in "MOM", the hearts, the toe-nails of the elephant, and especially the eyes! I even added a second coat to the eyes once the first one dried, and it makes them POP so much in real life!